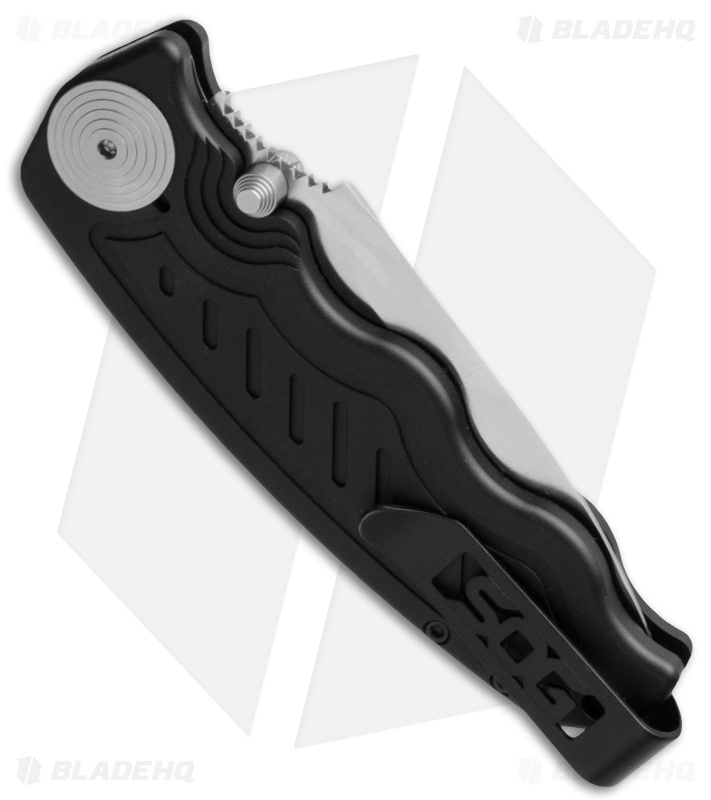 Reminiscent of the SOG-TAC auto series, the Zoom has a similar slim anodized aluminum handle with four finger grooves, but the Zoom offers SOG's patented assisted opening technology, which will be welcome in places where carrying automatic knives isn't permitted. The Zoom boasts impressive action that rivals and surpasses the speed of most automatic knives. A convenient safety switch next to the push button blade lock/release ensures you're in control. 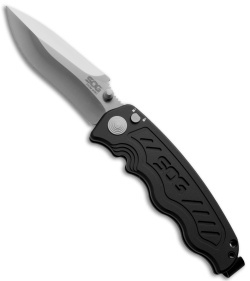 This Mini Zoom model has a drop point blade with a satin finish. 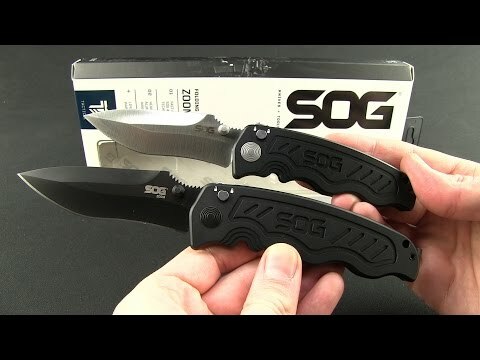 The SOG Zoom is available in two sizes with satin or black finished drop point and tanto blade styles.